Journeyman Ashley Kollar of UA Local 250 Steam & Pipefitters demonstrates virtual welding at the first annual “Women Build LA/OC” conference. U.S. Rep. Karen Bass, at right, cheers with more than 200 attendees and speakers. Maria Elena Durazo, former head of the LA County Federation of Labor, is now a State Senator. Apprentice Kimberly Avila of UA Local 78 Plumbers has a great job and wins a LA Sparks ticket raffle, too. L-r, from Roofers & Waterproofers Local 36: Journeyman Valerie Marshall and apprentices Paulina Sanchez and Brigit Jamerson. LOS ANGELES—Women in the Building Trades are still the exception, a small minority despite a rich history, decades of slow gains and strong current outreach. 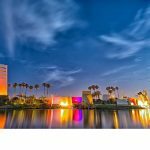 The goal of including more women in the opportunity, high wages and lifelong benefits of union construction careers is now motivated by a need to hedge against an aging workforce—especially in the midst of Southern California’s development boom, which will include billions of dollars in projects over the next several decades. 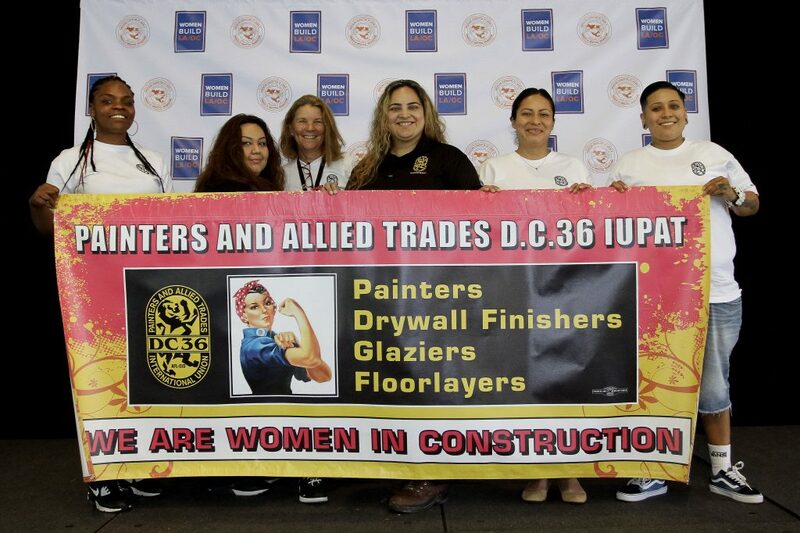 That was the inspiration for the first annual “Women Build LA/OC” conference in June, sponsored by the Los Angeles/Orange Counties Building and Construction Trades Council. 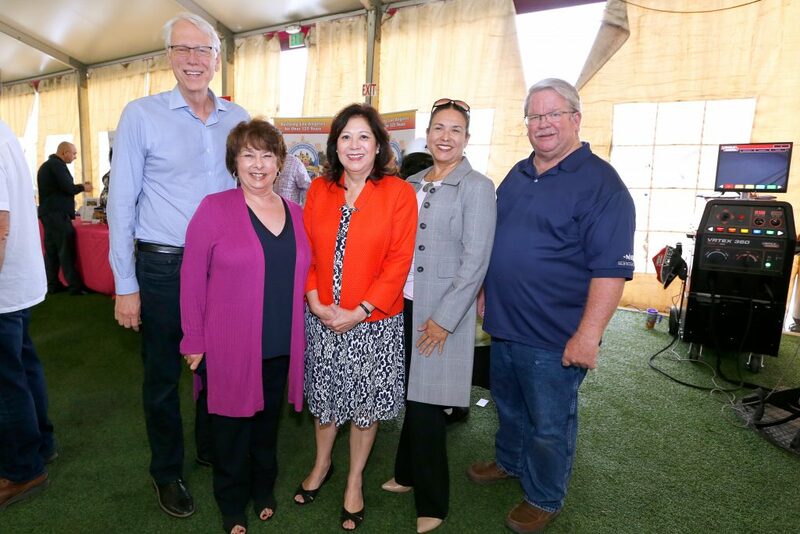 LA County Supervisor Hilda Solis, center, meets, l-r: LA Trade Tech President Larry Frank; Cheryl Parisi, former head of AFSCME DC 36; Alexandra Torres Galancid, Executive Director of WINTER (Women in Non-Traditional Employment Roles) and Council Executive Secretary Ron Miller. Where they lack quantity, pioneering Tradeswomen overachieve in quality, rising through the ranks and carving space for themselves and others. 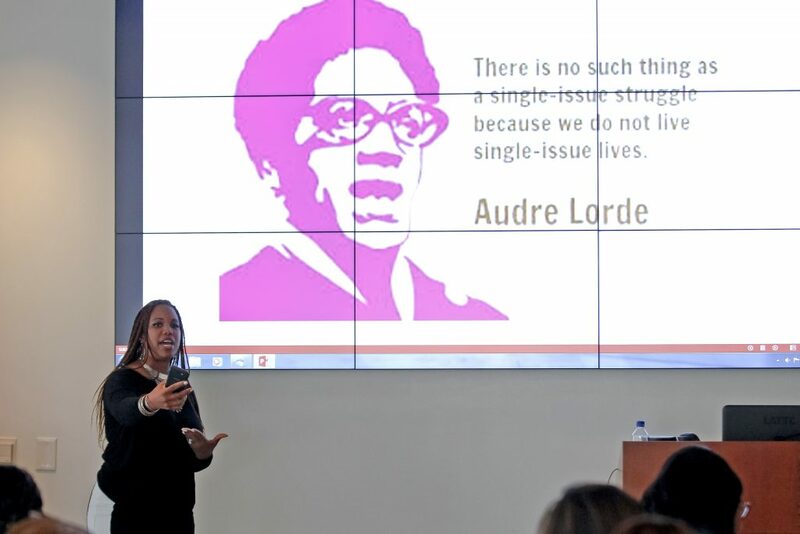 At the conference June 22 and 23, these pioneers shared decades of experience and hard-won institutional knowledge with the future generation in a dynamic discourse about the past, present and future of women in a fiercely male-dominated field. Overall, women make up about 3 percent of the construction workforce, with some local unions as high as 7 or 8 percent and others with one or two female members. “I want to thank you for being a role model for my daughter,” says Assemblywoman Autumn Burke. Women of all ages and positions, from those simply curious to those nearing the end of their apprenticeship programs or looking for routes to leadership, spent the day learning from the constellation of smart and seasoned Tradeswomen. 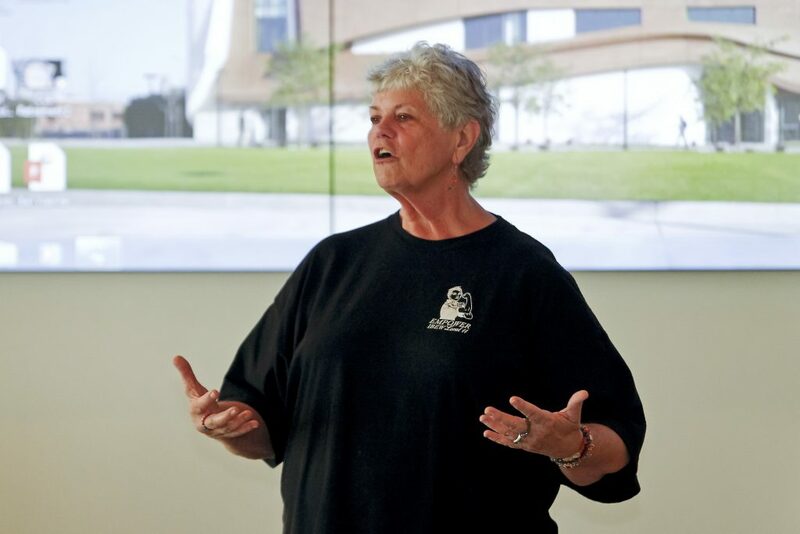 “You have to come with enough courage to at least be yourself and stand up for what you believe in,” says Jane Templin, vice president of IBEW Local 11. “When women walk on a job site, they assume we don’t know what we’re doing and we have to prove our skills. Go out there and just prove them wrong. Create a name for yourself,” O’Leary said. The sentiment echoed throughout various panels. “You’re going to have to prove your worth, physically. In male-controlled jobs, you stepped into their world, so you’ve got to perform better. 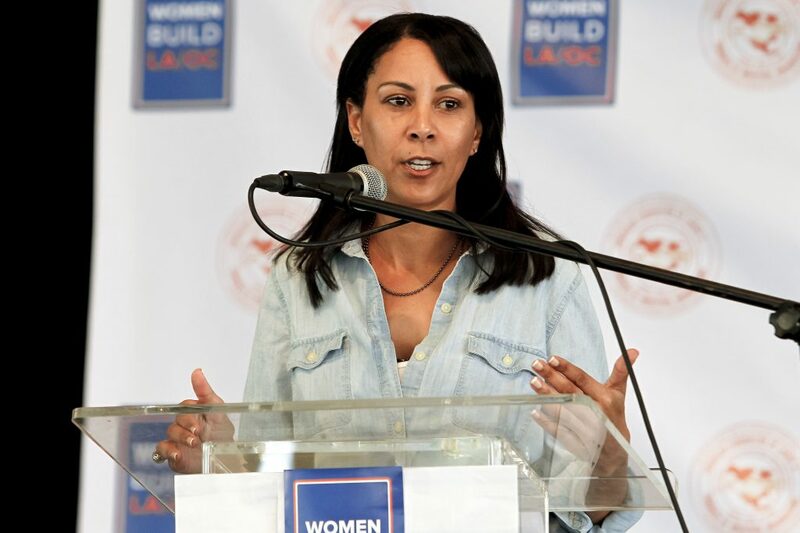 You don’t want to be known as ‘the Woman’ or ‘the Ethnicity’ on the job,” said LA City Inspector Karen Izumi, who started her career as a member of UA Local 709 Sprinkler Fitters. “My advice? Don’t ever let them see you cry,” said O’Leary. 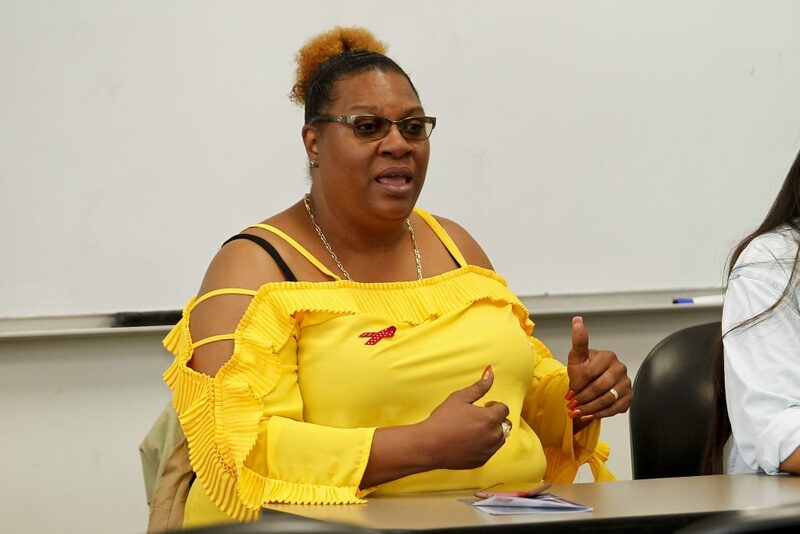 “Pick your battles.” Operating Engineers Training Trust and Local 12 member Renee Gadberry recommended designating people, not necessarily your boss, for advice in times of adversity. And while men may in many cases have an advantage of brute strength, panelists highlighted the myriad ways women have created their own paths to success. It requires physically holding your own while thinking beyond the physical domain. Cameille Brisco of IBEW Local 11 helps lead a workshop on intersectionality. But you don’t need to. Templin and others didn’t get to where they are by trying to outlift men, but by embracing their leadership skills, and developing social strength and presence. Women represent IUPAT District Council 36. “Folks who are real trade unionists understand solidarity,” says Elaine Ocasio, Business Manager of IBEW Local 45. Alexandra Torres Galancid, Executive Director of WINTER (Women in Non-Traditional Employment Roles) said that approved pre-apprenticeship boosts success in the Trades. Kat Norve, for example, went through the WINTER program. “We insist you learn the life skills and workforce development skills you need to be successful in the Trades. Part of winning the projects for all Building Trades members, male and female, is working with elected officials to support all-union developments and Project Labor Agreements. “The work you do transforms lives and communities,” Anaheim City Councilmember Kris Murray told attendees. “This is an important program to reach out to women and let them know there’s a role for them,” she said, stressing the need for women to access “pathway” jobs to independence and careers. Marisol Medina Vierra, 43, an energetic second-year apprentice with UA Local 78 Plumbers, came to the Trades with a bachelor’s in media production and an associate’s degree in sciences. “I have all these degrees and have always done construction on and off,” she said, noting work she did with activist Elvis Summers building “tiny houses” for the homeless off the 110 freeway. Wanting to learn how to build bathrooms led her to Local 78. By midday, Vierra was encouraged by the results of dynamic discourse she saw unfolding in real time. “My first day on the job, a guy told me to go get him a bucket of steam. You gotta have calluses on your eardrums,” says Darlene Thompson, welding instructor at LA Trade Tech. U.S. Congresswoman Karen Bass touched on obvious parallels in politics. Women make up just 20 percent of Congress, and 24 percent of the State Legislature. “Don’t get mad about it,” she said, imploring more experienced Tradeswomen to mentor the next generation. “I’m honored to be here and I will call on you, so you can help show them the way.” Bass was recently elected as head of the Congressional Black Caucus. Assemblywoman Autumn Burke said the women in construction inspire her to become a “tireless advocate” of the Trades in Sacramento. 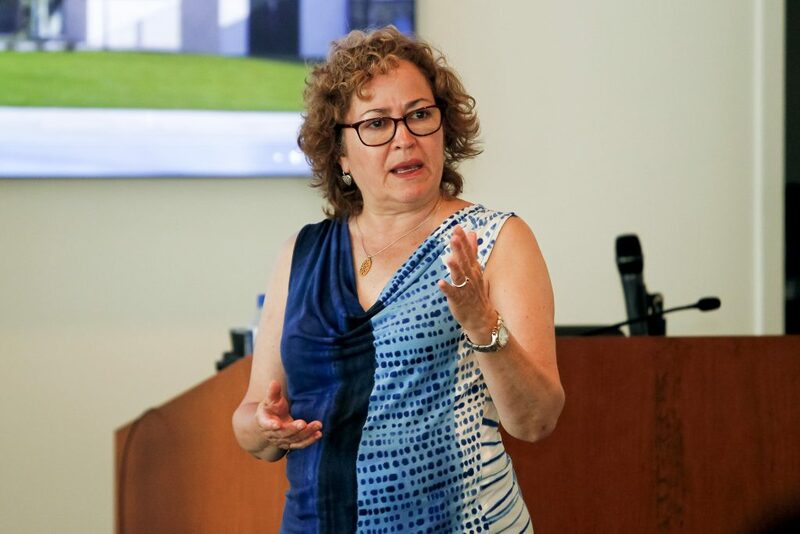 The conference closed with remarks by Maria Elena Durazo, former Executive Secretary Treasurer for the Los Angeles County Federation of Labor. Durazo is now a State Senator. Like many of the women in the room, she was a worker and then a leader in her union.